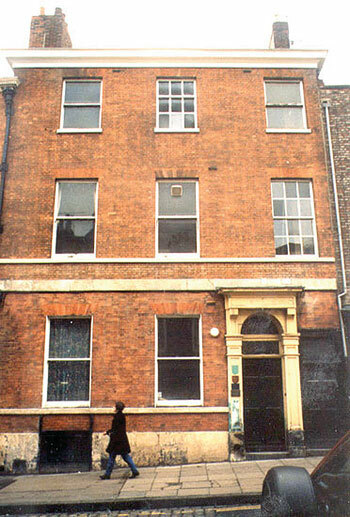 This property was acquired by the Trust in 1993. It must have been built late in the 18th century; the three-bay front and the plan with staircase placed transversely between the front and back rooms is typical. An unusual feature is the placing of the service passage adjacent and parallel to the entrance, which has now been utilised as a separate entrance for the disabled. Later alterations include a mid 19th century surround to the front door and a large single storey extension to the south. 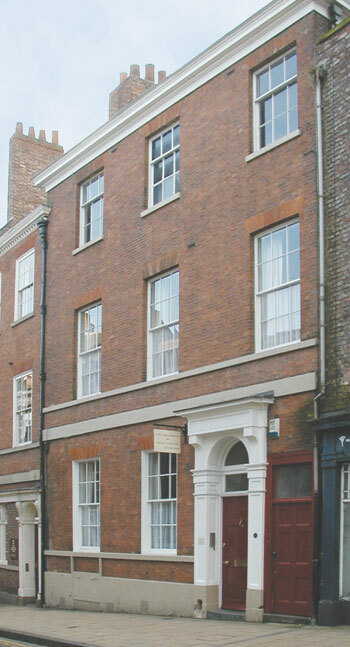 The property was occupied by George Telford, of the family of York nurserymen, from 1786 until 1809, and the freehold descended to his grandson, Colonel Charles Telford, JP, who lived in the house from 1876 until his death in 1894, when it was bought by Dr W A Evelyn, physician and antiquary. The staircase has cantilevered stone treads shaped on the underside, square pilasters with hollow faces and is lit by a lantern in the roof. In the front room on the ground floor is the original fireplace with applied decoration. The property had a dilapidated, flat roofed, single storey extension to the rear which was demolished by the Trust in 1997 and replaced by a single storey brick extension, more in keeping with the original property. The property is a Grade II listed building and is situated in a Conservation Area.